This project fills a void in medieval musical scholarship in the West by addressing an area that is virtually terra incognita. 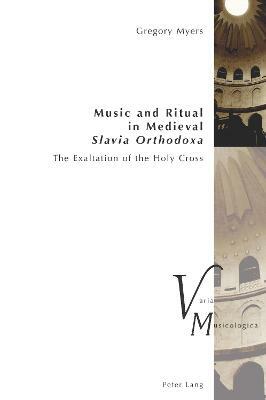 Based on newly-accessed primary source material and grounded in the most current scholarship, the English-language monograph-length study, Music and Ritual in Medieval Slavia Orthodoxa: The Exaltation of the Holy Cross investigates the sacred music traditions of the Orthodox Slavs (Bulgaria, Serbia and Russia) during a critical period in the cultural history of the region. The approach taken is interdisciplinary, drawing on recent scholarship in liturgical studies, Byzantine and medieval Slavic history, linguistics and musicology. The study traces the dissemination of liturgical and musical performance practices through the disparate centers of the Eastern Christian world (from Southern Italy, Balkan Peninsula to Kiev and Novgorod). It takes into account the physical locus of the chanting practices, whether urban cathedral or monastery. The medieval Slavs are treated as an autonomous cultural body within the Commonwealth of the Eastern Church. Set against the shifting liturgical backdrop of the 13th century with its pending liturgical reform, the study addresses aspects of chant performance practice in the Slavic-speaking world. Select hymnography for the celebration are sought in the rubrics of liturgical sources describing its placement in the services, singing personnel, the style of the hymnody and the manner of its musical execution (antiphonal, responsorial). The Feasts of the Holy Cross, observed during the week of September 14, the Third Sunday of the Lenten Fast and Holy Week (Holy Tuesday and Good Friday), serve as case studies for which there is an abundance of unexplored material to be brought to light. The current study presents this material to the Western audience for the first time. Gregory Myers is an independent scholar, publisher and bibliographer residing in Vancouver, BC, Canada. He holds a MLIS degree and a PhD. in historical musicology from the University of British Columbia. Myers specializes in the music of Eastern Europe, specifically Russia and the Balkans, and researches, publishes extensively and lectures on issues of medieval music (Byzantium and the Slavs) and the post-World War II musical developments in Eastern Europe.